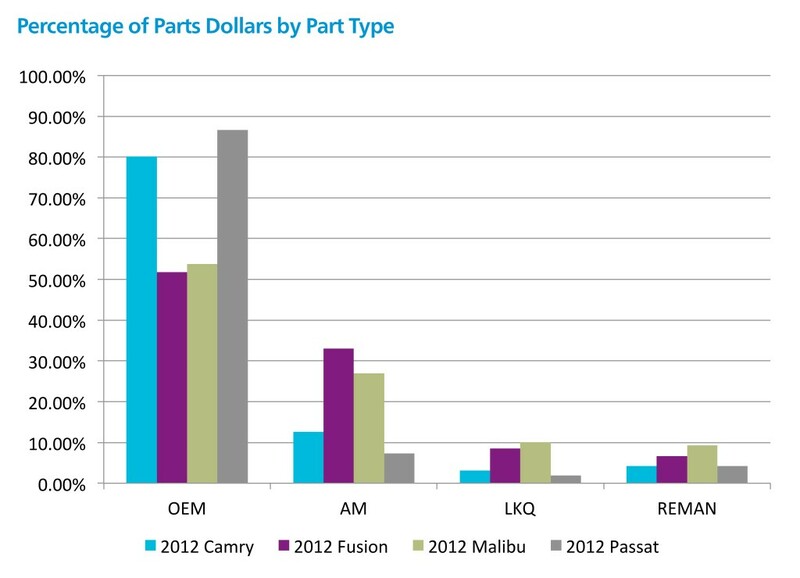 Mitchell’s snapshot of repair costs for four 2012 model-year vehicles found that models later in their design generation used fewer OEM parts — but didn’t necessarily yield a cheaper labor bill. Industry relations Vice President Greg Horn compared 2014 parts and labor costs for the 2012 Toyota Camry, Ford Fusion, Chevrolet Malibu, and Volkswagen Passat and drew some tentative conclusions about how design age affected repairs in a May report. The Malibu and Fusion were in the final year of their generation, and the new generation of the Passat had just debuted with the 2012 model year, according to Horn. 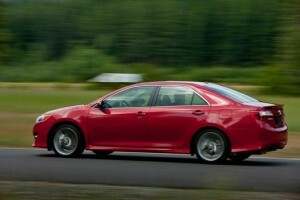 Toyota considers the 2012 Camry the first of its seventh-generation Camry, and the car design mostly carried over to the 2013 and 2014 model years in a truncated design cycle, according to Horn. “The interesting thing truly is the domestic vehicles had the lowest use of new OEM parts,” Horn said in a webcast Tuesday, discussing his findings and other parts of the second-quarter Mitchell collision repair report. Conversely, the two foreign vehicles leaned more heavily on OEM parts. Mitchell said this made sense for the Passat; its lower volume meant fewer used components and less aftermarket incentive to genericize them, but it defied logic for the popular Camry. 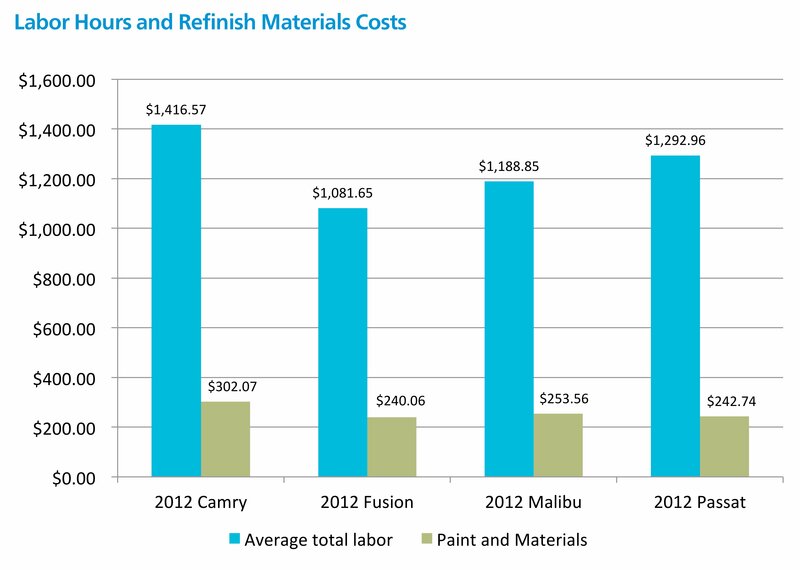 The Camry also had the highest labor and paint and materials costs, followed by the Passat for labor costs and the Malibu for P&M. Horn didn’t have a good sense as to why the Camry and Passat were higher in labor costs, aside from that both lacked a natural panel break that would ease painting the cars. It’d be interesting to see Mitchell or a competitor study this further and prove whether parts and labor revenue correlate with a vehicle’s generation year. If they do, that could allow repairers or insurers anticipate revenues from popular vehicles in one’s area based on design age. At this point, the data seem too limited to be anything more than grounds for future hypotheses.